Scott has over 10 years experience in the computer industry and works in the IT department of a Fortune 500 company. He has been involved in corporate network security for over 15 years. These are great printers! I don’t print as much as I used to anymore as I try to save as digital format as much as possible. Printing costs just getting too expensive these days. It is amazing how printers are not as expensive as they used to be. 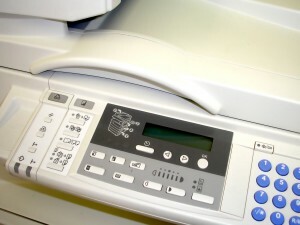 Once upon a time it was rare to own a printer in your home, now nearly everyone has printers in their home. It is great for home personal use and business purposes. This way, we can create invitations, business pamphlets and business cards from our own home. That is very true Elena, and who knows, maybe in the near future we will be saying that about 3D printers too! That’s right Elena. Not only are they cheap and easy accessible, they can do much more than they could a few years ago, and now, with the introduction of 3-D printers, the possibilities with printers continue to increase. 3D printers opens up so many more possibilities! We could potentially even print new printers! Certainly technology is improving and you’re getting more efficient and improved version than earlier. I already have my HP digital printer which I bought about 3 years ago, though I hardly use it. But yes these new printers certainly save more money as they now require less ink and consume less power. I recently bought a Canon Pixma ix6550 which is a competitor to the Epson. I was amazed at the quality of print when you put it into photo mode. Another thing that amazes me is just how cheap you can get the consumables when you get the generic ones. Not sure about the quality from the generics but I will definitely give them a try. Personally I would recommend the HP Envy 110 . I have one myself and the two-sided printing in particular is one of my favourite features. Like you mentioned it prints quickly and quietly, a great compact printer! Looks like a good printer John, the question is how much does the ink cost! Most of todays modern printer produce very good quality prints but if you want to get the absolute best quality that the printer is capable of then consider creating a custom icc profile for your particular printer, paper & ink combination rather than using the generic one. We use custom icc profile for printing fine art prints & the difference in colour accuracy is definately worth the extra expense when compared to using the standard driver & icc profile. Thanks for the comment Chris, welcome to the blog!